Your wedding is one of the most exciting, special days of your life. Of course you want it to be nothing less than absolutely perfect! 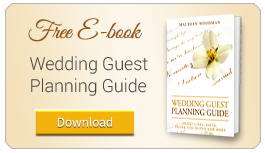 However, there are innumerable things that can go wrong when planning an event as big and complicated as a wedding. 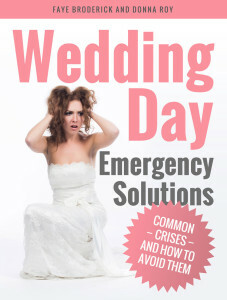 Learn more about what wedding day emergencies often plague brides and simple, creative solutions that can help you either avoid a pending catastrophe altogether or handle a crisis quickly and effectively so you can move forward with your special day in our free Wedding Day Emergency Solutions e-book, by Faye Broderick and Donna Roy, the Wedding Experts at the Essex Room.